SMART-Hub delivers robust connectivity for Barhale. Barhale is one of the UK’s largest privately owned infrastructure specialists working across the water, transport and energy waste sectors. After more than 30 years of successful trading, it has grown to an 850-strong company. The IT infrastructure supports over 30 locations, which include a fluctuating number of construction sites. 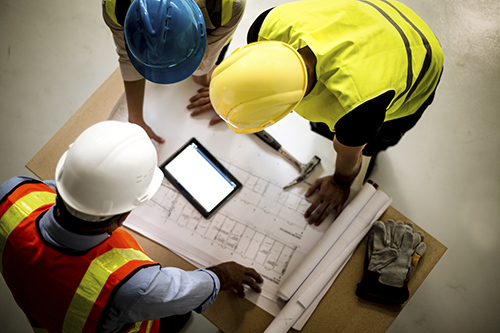 Barhale needed robust connectivity from day one at its construction sites and throughout the life cycle of its projects. In addition to the rapid deployment of reliable connectivity, Barhale required safe access to its corporate network, the ability to implement and easily change corporate policy and access controls, to manage bandwidth performance over the project lifecycle and to recycle assets at project completion. The Link-Connect SMART-Hub is delivered to the construction site ready to plug in and use. Once it is online it supports any method of connectivity presented to it. The one box solution delivers connectivity via 3G/4G or satellite, which can remain in place for added resilience once the next phase of connectivity is available, or used as the primary link for the whole project. When the site is taken down the equipment is re-purposed so it is ready for the next project. We can take the pre-configured SMART-Hub to site and be live on day one. This allows our people to have secure access to our corporate systems and data, and means I can be confident that the necessary corporate policy and access controls are in place. SMART-Hub can be used to deliver fast and resilient connectivity for any Barhale construction site from day one. The single box, single supplier, managed approach simplifies deployment, support and billing. And, the ability to recycle the equipment on future projects helps to meet green obligations and reduces costs.